As we continue to grow, Adept are pleased to welcome three new members of staff to the Leeds practice. Amreet Notay, Pedro Goncalves and Jack Stokes are already proving to be valuable assets to our practice and valued members of our civil and structural departments. 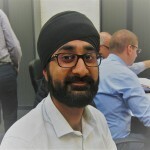 A welcome addition to Adept’s busy Structural team, Amreet is working on the refurbishment and extension of New Earswick Folk Hall, a community hub with extra care accommodation; Beverley Arms pub to hotel conversion and a large residential development for young professionals comprising 96 apartments in Leeds city centre. Amreet, graduated from the University of Leeds in 2015 and joins Adept from Elland Steel Structures. There he worked on the University of Huddersfield Oastler Building, The International Quarter in Stratford, London, Nishkam School in West London and BAE Systems training facility in Samlesbury. 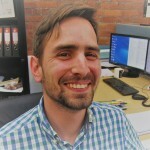 Pedro joins Adept from Elluc Projects where he worked on a number of residential schemes across Yorskhire. Pedro graduated with an MSc in Structural Engineering in 2010, from University of Coimbra, Portugal and intends to gain ICE membership via the Recognition of EU Professional Qualifications route. At Adept, Pedro is working on a range of masonry residential buildings comprising 143 homes across four sites as well as the £10.6m extension to a major steel frame facility for B. Braun Medical in Sheffield. Jack will graduate this month with a BSc in Civil Engineering from Leeds Beckett University. 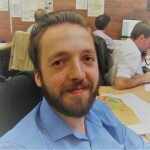 During his studies, Jack worked for ASC Civil and Structural engineering Consultants where he gained experience in S38, S104, S106, S278 adoptions/design whilst working on a major new Morrisons store, carpark and junction design/improvements in Wells, Somerset as well as a large mixed use development near Newark.